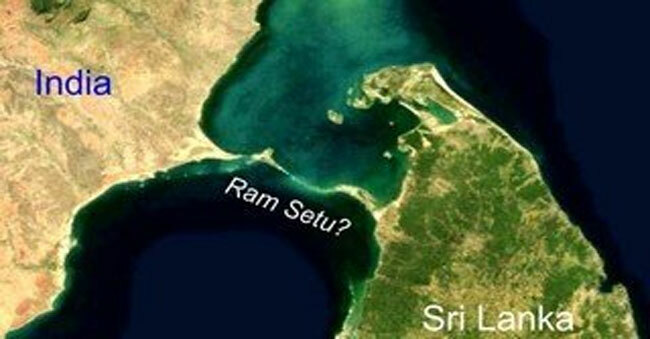 Ram Setu does exist and it is made by a man, claims a famous television channel in the United States. A show on the science channel suggested that the structure may actually be present outside mythology. It is not a natural formation, the bridge may have been built by the humans the promo which is released by the channel goes on to show. It also cites some of the images that were captured by NASA and claims that in the investigations it is revealed, that they observed a line of rocks 30 miles long between India and Sri Lanka. In the promo, which also carries a text message says, “ are the ancient Hindu myths of a land bridge connecting India and Sri Lanka true? Few images further show the stones are actually sitting on a sandbar, which occurs in areas with shallow water. According to the archeologist, Chelsea Rose, sand could accumulate between land masses. She adds on to say, that the analysis of the rocks found on the seabed shows that they preexist sand. This means that rocks are older than the sand. It is found that the rocks are 7000 years old sitting on sand that is 4000 years old. Dr. Alan Lester, a geologist, says that the stones were brought from far off place. They were set atop of the sand island chain, he further suggested.